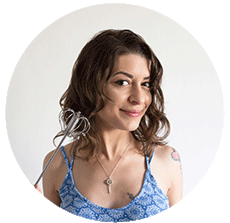 When ice cream cravings happens, I usually go for my quick 2-ingredient ice cream. If I have a little more time and a bit of patience, then I’ll go hands-down for gelato-style ice cream. Gelato isn’t your regular ice cream. The main differences between american-style ice cream and italian gelato, are that the latter is lighter in fats ( no cream, only milk) and has less air incorporated, resulting into a denser frozen treat. I follow the traditional sicilian gelato recipe, which replaces the use of eggs with cornstarch (also called corn flour). 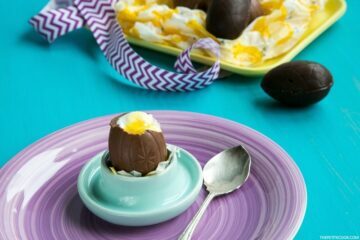 I don’t really like the idea of having eggs in my ice cream, so for me this method works definitely better. The amazing thing about this ice cream is that you can do it with regular milk or 100% dairy free and vegan, it tastes incredibly delicious either way. 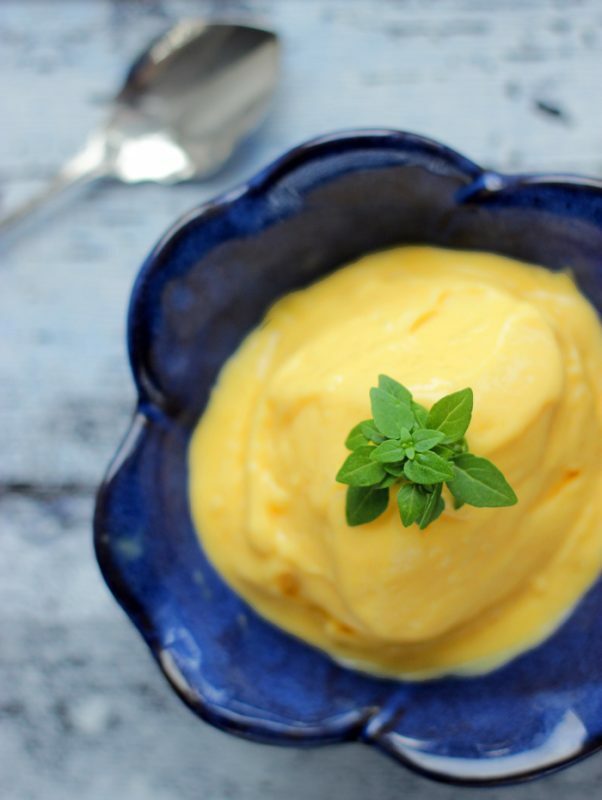 Made with only four ingredients, this incredible egg-free mango ice cream is super easy to prepare in two simple steps, and all you need is milk, mango puree, sugar and cornstarch. First prepare the base with milk sugar and cornstarch on your stove top. Once ready, let it chill completely, it should have a pudding consistency. Then simply fold in the mango puree. 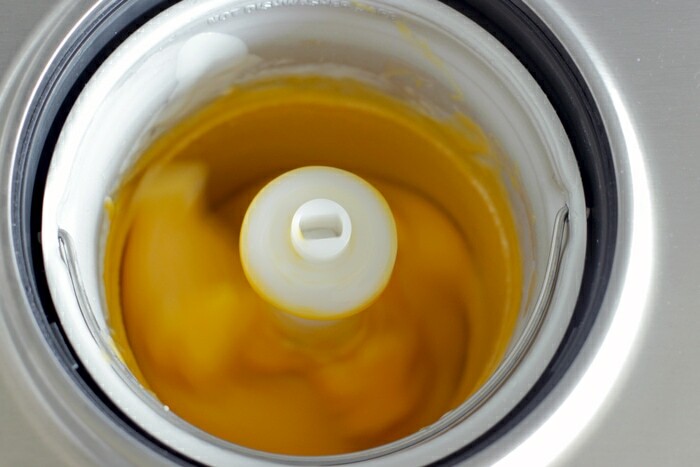 Pour your mango gelato mix in your ice cream maker and let it churn for about 20 mins, until the ice cream reaches a dense consistency. 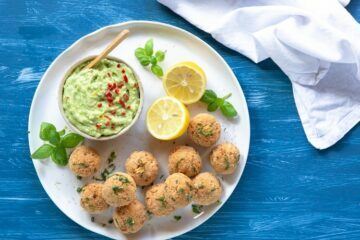 Grab a spoon and enjoy straight away or pour into a container and refrigerate in the freezer until ready to serve. After years of going back and forth to the freezer, I’m glad I finally own this ice cream maker, which makes ice cream with little if not effort at all and I don’t even need to freeze the bucket the night before. If you don’t have an ice cream maker however, it’s totally okay! Simply follow the method and instead of using a machine, pour the gelato mixture into a container and freeze. You will need to mix the gelato every hour for about three to four times until you’re happy with the consistency. It’s a bit more work, but still the same goodness. 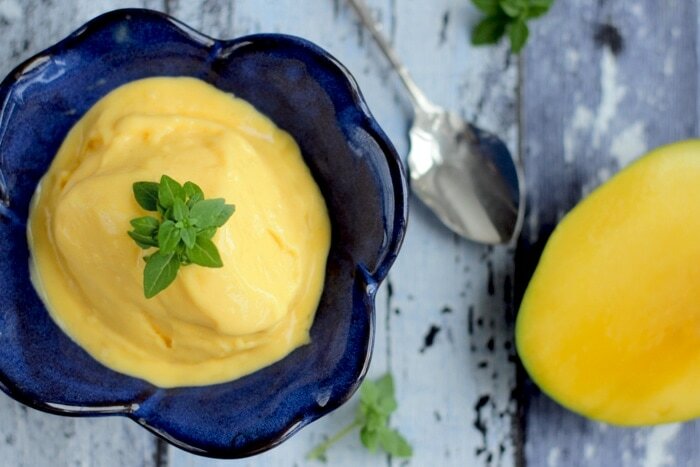 To make this mango gelato dairy-free, simply substitute cow milk with coconut milk and use only half the sugar, then follow the same exact method above. There are no hidden secrets and the results are very similar. The main differences I’ve noticed is that the vegan gelato had a light coconut flavor, which was predictable and actually made this ice cream taste even better. Also, it tends to melt quicker than regular ice cream ( as you can see from the pictures). 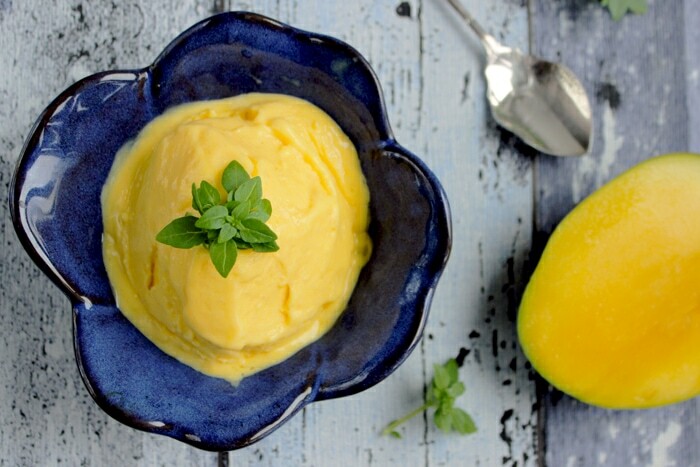 I love mango ice cream, and when I make my own I also like to add some basil which gives a fantastic taste and it’s the perfect match with mango. If you don’t fancy it however, you can easily customize your gelato to your tastes and use different fruits or flavours. Peach, strawberry, hazelnut and chocolate are some of my favorites. 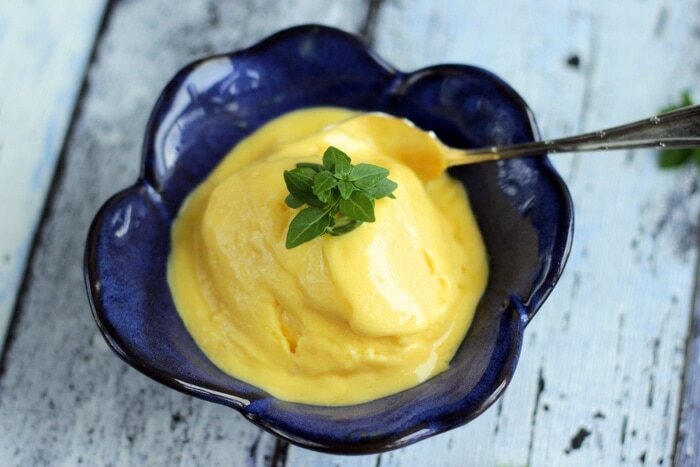 This egg-free easy mango ice cream is the best treat you can make to yourself on a hot summer day! Heat ⅔ of the milk and sugar in a small saucepan over med-low heat, stirring often. Mix the remaining milk with cornstarch until completely dissolved. Then add it into the milk and sugar mixture. 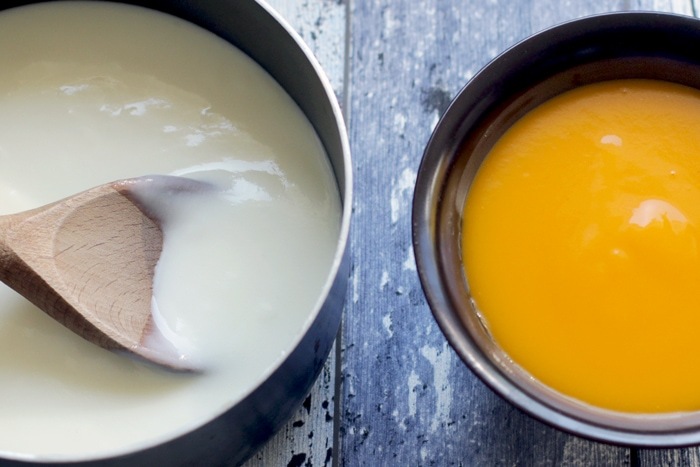 Heat your ice cream base until thickened, stirring often, for about 5-6 min. Do not allow to bring the mixture to a boil. Remove from the stove, transfer into a heat-proof container and allow to cool completely. 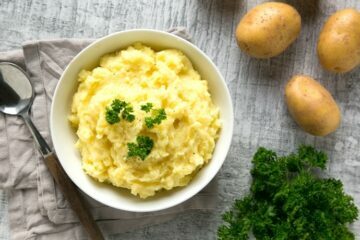 Refrigerate for ½ hour, it should have a pudding-like consistency. 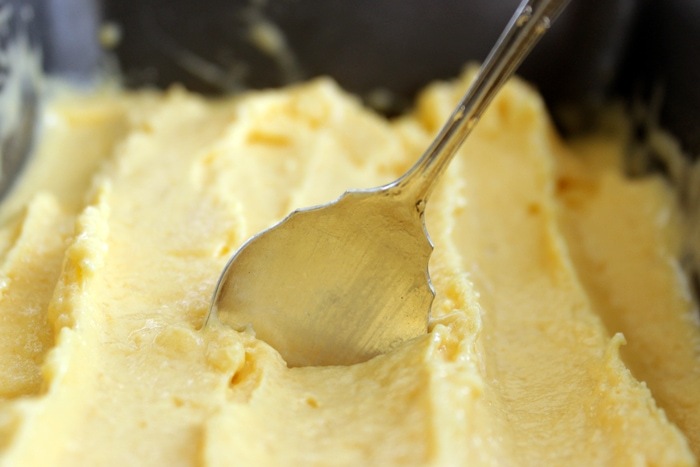 Fold the mango puree into the ice cream base, then pour the mixture into the ice cream maker. Let the machine churn the ice cream for about 20-30 mins, until reaching a dense gelato consistency. Transfer into a freezer container and cover with parchment paper or cling film and freeze until ready to serve. Decorate with basil leaves and enjoy! To make it vegan and dairy-free substitute milk with 1 can (14oz) full coconut milk (shake before use) and use half the sugar, depending to your taste.